Product #1690 | SKU 208 | 0.0 (no ratings yet) Thanks for your rating! 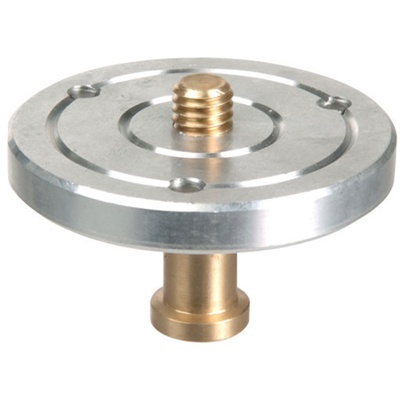 Provides a mounting plate with a 3/8 inch screw. The Manfrotto 208 3/8" Head Mounting Plate fits into 5/8" sockets such as the Super Clamp and the Mini Clamp, providing a mounting plate with a 3/8" screw. Comes with locking screws.